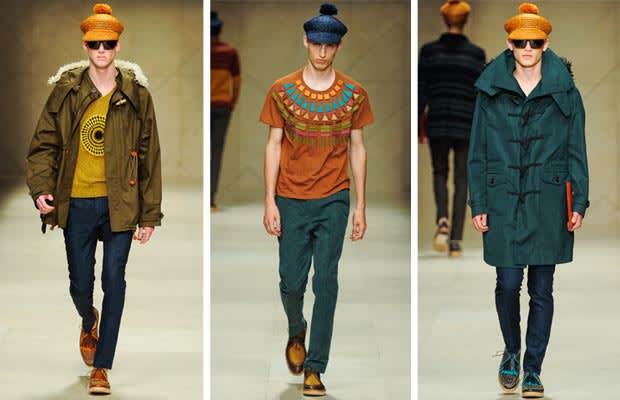 The Spring/Summer 2012 collection from Burberry Prorsum had a new personality during Milan Fashion Week this past weekend. Designer, Christopher Bailey presented a collection that had an easy vibe, and the focus was on wearability. Ever present were several parka&apos;s and coats, but the real star of this show was the shoe, a cork-soled woven moc. Check the looks above and if that&apos;s not enough watch the full runway show here.